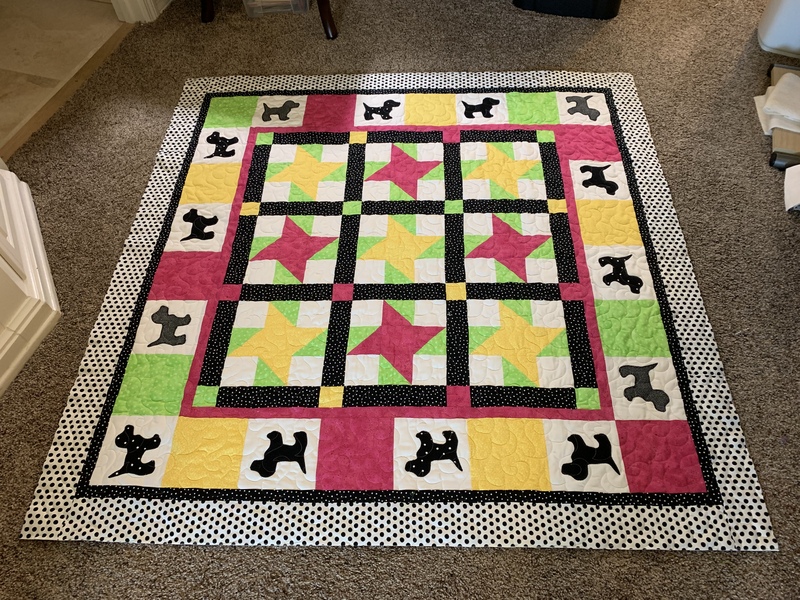 #7 of 7 is quilted! 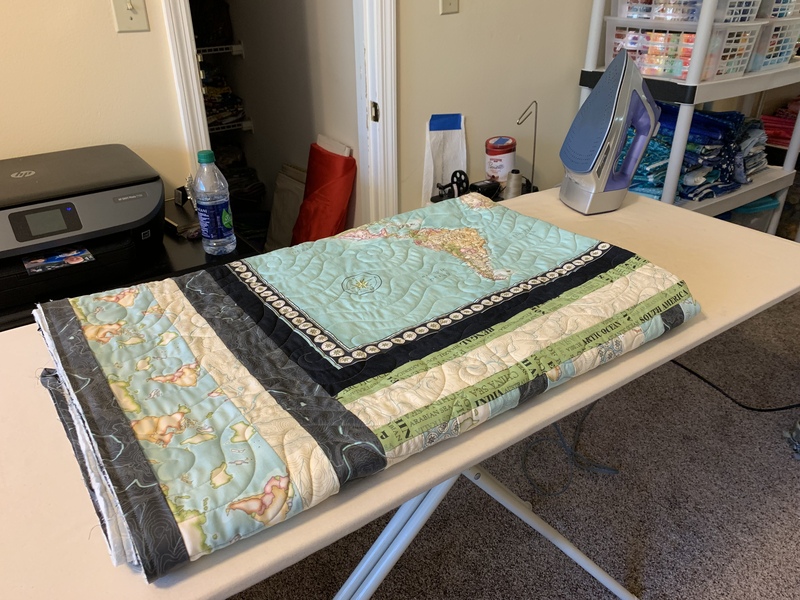 I love hitting my goals … the last top of Mom’s is quilted. 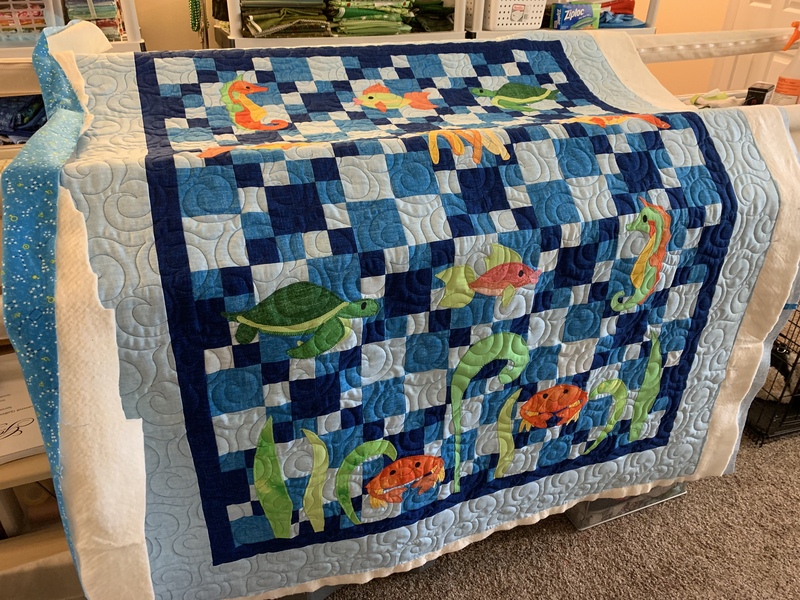 It’s a kit I bought from Connecting Threads and it’s quilted with the pantograph Wave. Isn’t that a cute flannel back we found for it?! 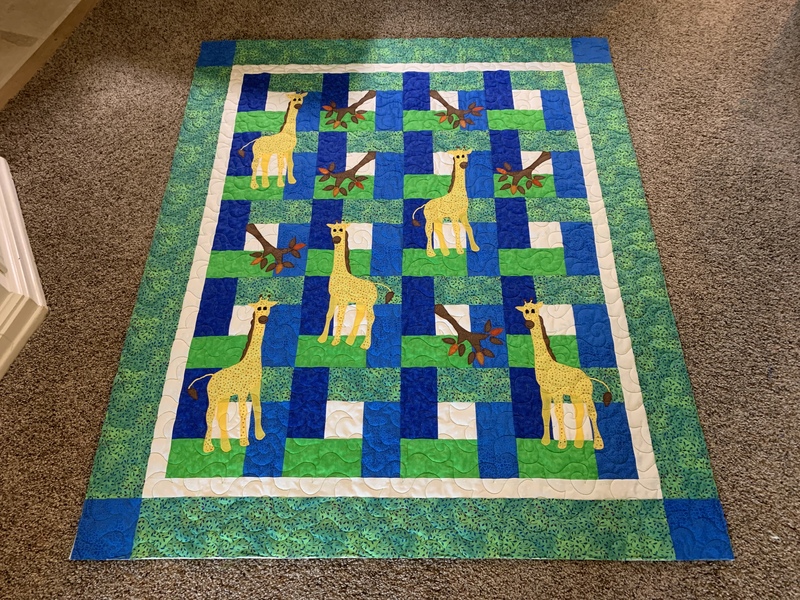 The goal is to quilt 7 tops while Mom is here … this is #3 of 7. 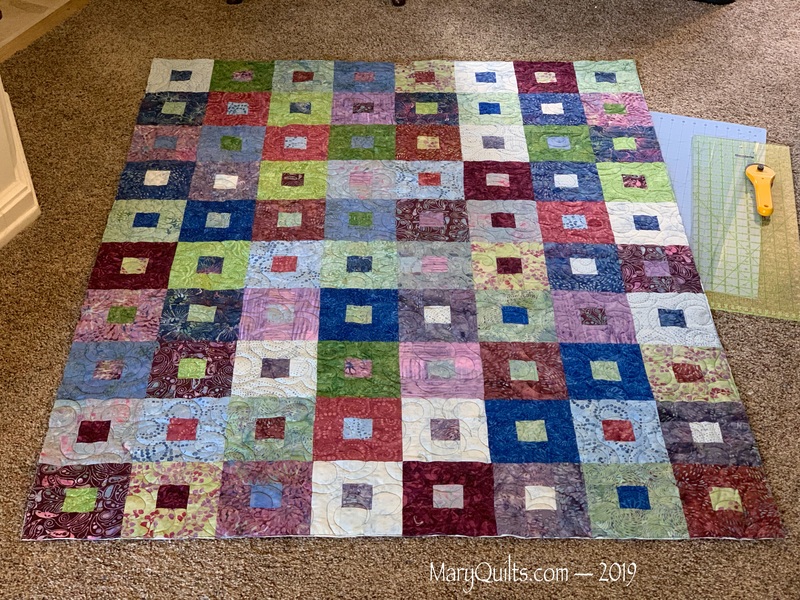 I’m even counting it as part of our HeartStrings precut Party because I gave Mom the Jelly Roll, she pieced the top, and I quilted it! The pattern is Boxed Squares and I have brief instructions on my website. Pantograph is Halcyon but you can’t see the quilting very well in this photo. 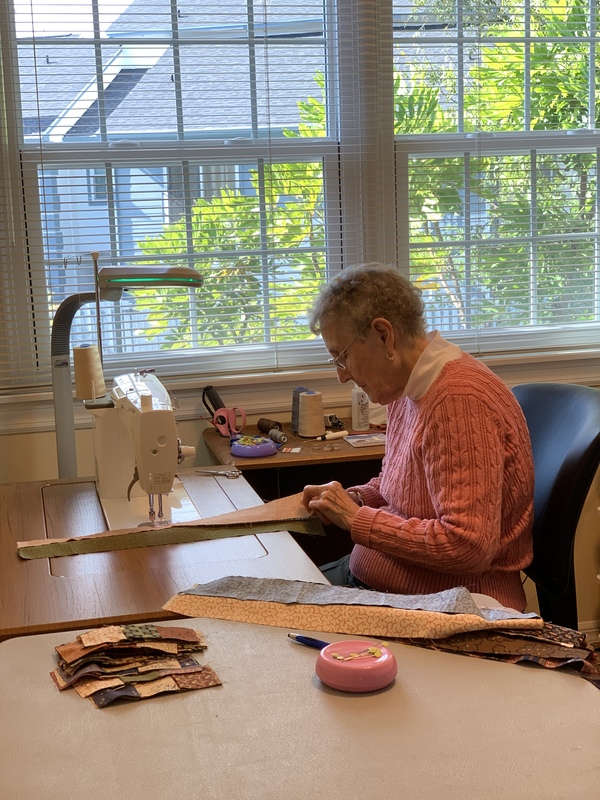 I offered her a sick day … she’s got a cold … but she has a better work ethic than I do, she insisted on working in the sewing room with me today. I think she’s enjoying my Big Board for pressing! 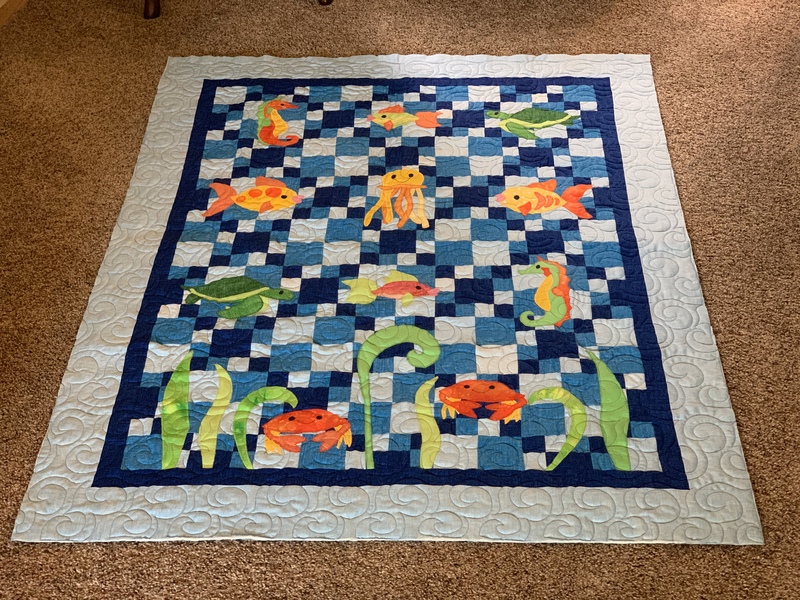 I also trimmed her fish quilt, she’ll take this one back home to bind but I got the binding on the boxed squares and she’ll work on sewing that one down here. 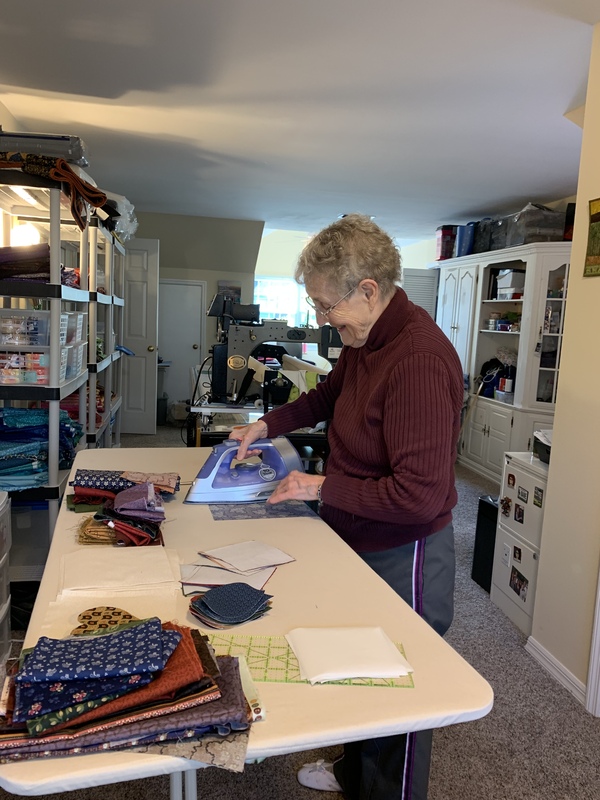 In addition to all the hearts she’ll have to appliqué, and the binding, we’re shopping my stash to kit up some projects for her to work on at home. Isn’t this going to be a cute Quick Strippie?!! 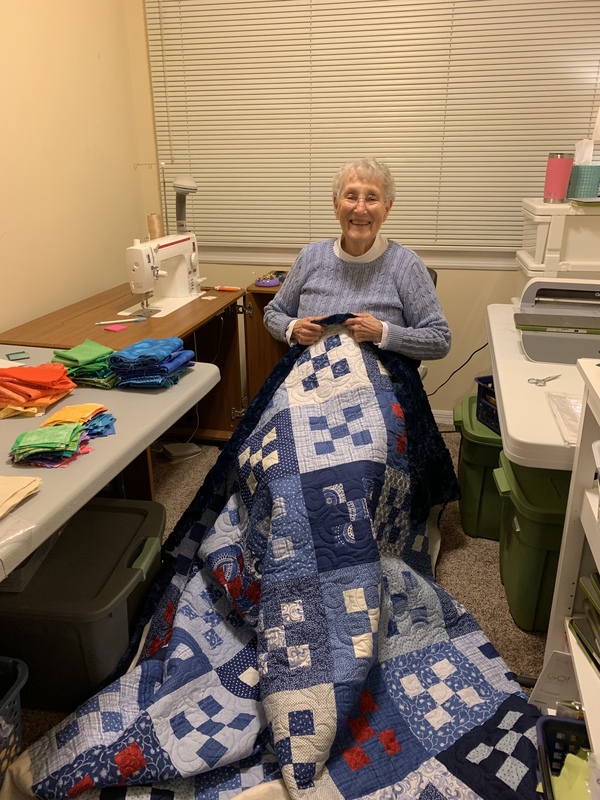 This is one of Mom’s tops – she has several I need to quilt and I’m going to see how many I can get done while she here. 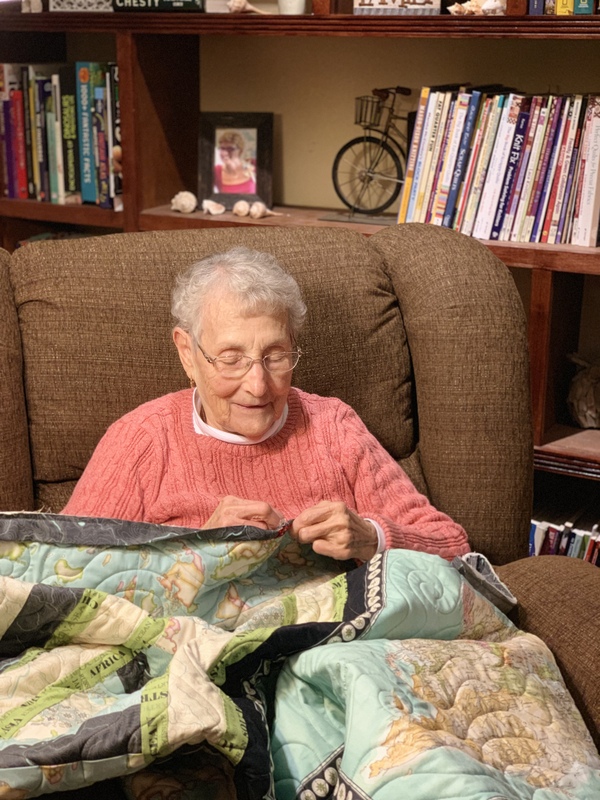 Yesterday’s map quilt is one that we both worked on and are gifting a family member. (It might NOT be you Chris!) so this is number 2 of the 7 that I’d like to get done … we’ll see how far I get! 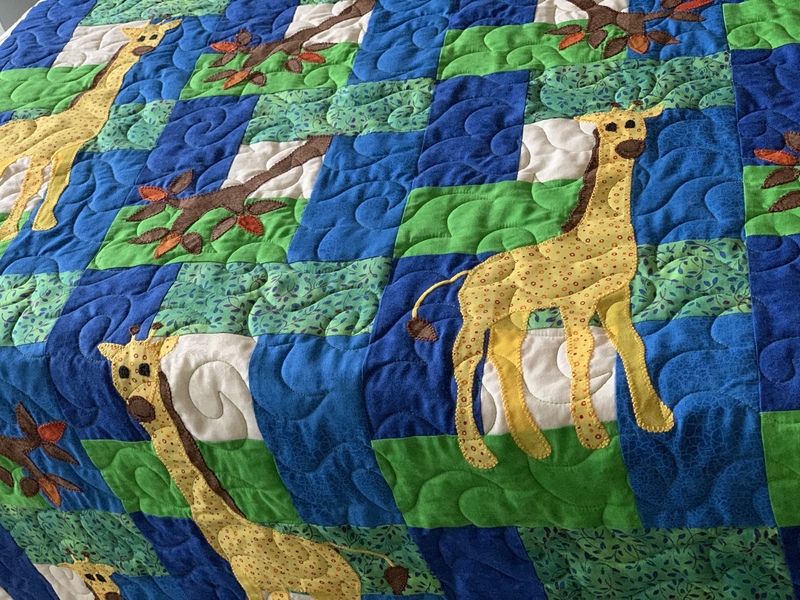 This was a pattern from the book Animal Parade and the pantograph is Jilly. You should be able to click on the photo to see a larger view. 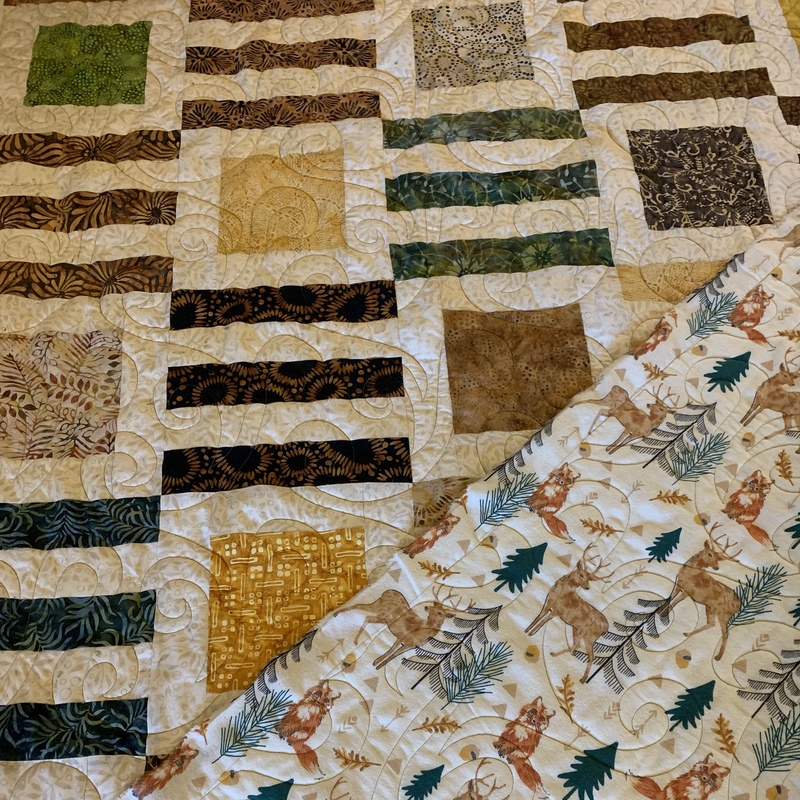 I quilted a top, trimmed it, got the binding stitched on … and got a backing pieced and another top loaded and ready to quilt tomorrow. And Mom worked on hand stitching the binding down this evening. We’re talking about and planning future projects for her to work on when she goes home too. I’ve got lots of fabric to share and we’ll probably make a trip to Joann’s in a few days too.